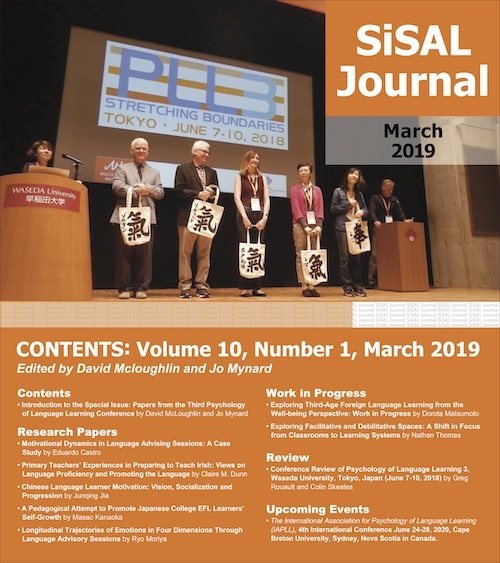 SiSAL Journal is planning to publish a special issue on Self-Regulation in Foreign Language Learning in December 2014 (Volume 5, Issue 4). This special issue is open to all—not just those who presented at last year’s Symposium on self-regulation in Foreign Language Learning. In addition to research articles and works in progress, perspective pieces and reviews are also welcome. So if you are interested in writing a review of the Symposium or a related book or website resource, this would also be acceptable.